You need a bed for guests, but you do not have a separate guest room? You have to accommodate guests for the night in the children's room, where another bed will be clearly extra? 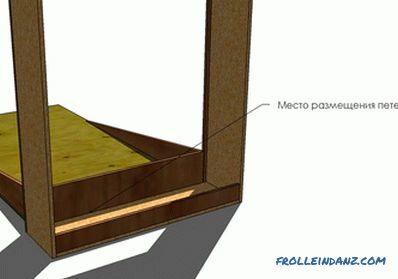 Today we will tell you how to make a folding bed. 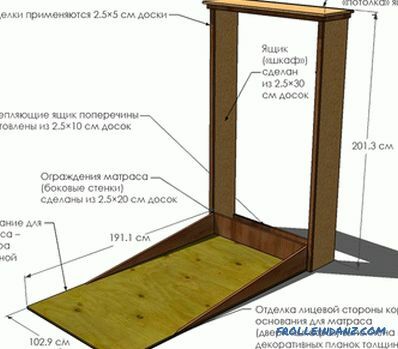 A bed that will not occupy much space and will not be evident: in the assembled state, it looks like an ordinary wardrobe. You do not need any special equipment or specific skills. Just follow our instructions. hinges with a door closer for slowly lowering the bed to a horizontal position. Work on a clean, level surface. Take proper precautions, use personal protective equipment. 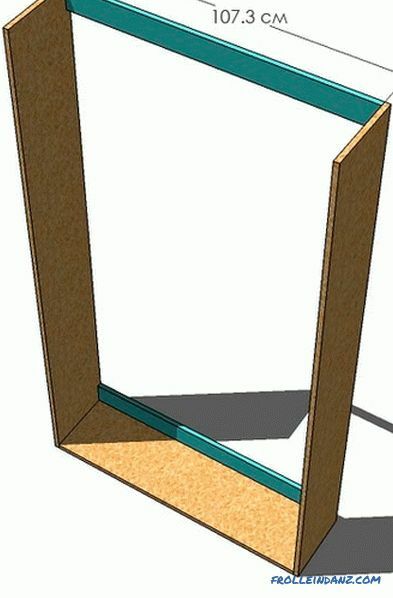 With the help of the square, check after each step whether the angles of the structure deviate from 90 degrees. Before screwing in the screws, drill the guide holes and rebuild them. 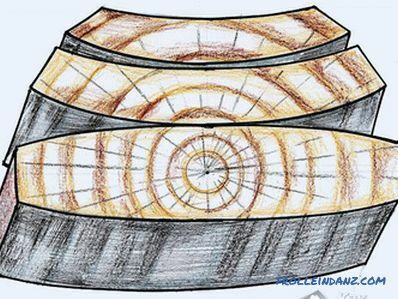 When you start making your own folding bed, study the drawings presented here. 2. 5 * 7. 5 * 120. 0 cm (1 pc.) - the back of the "ceiling"
2. 5 * 30 * 120. 0 cm (1 pc.) - front part of the "ceiling"
Step 1: Construction of the drawer frame. Using 50 mm self-tapping screws and glue, attach the side walls to the bottom. Step 2: Rear cross members. 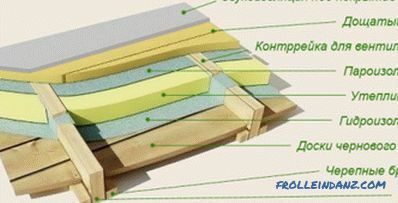 Fasten the box with crossbars in its upper and lower parts. Bottom connect not only with the side walls, but also with the bottom. Use 50 mm screws and glue. Step 3: Front cross member. Pull off the walls of the box with another crossbar located at the top of the front side. To mount it you will need 50 mm screws and glue. Step 4: Finish the front side of the drawer. Using 50 mm nails and glue, attach the decorative strips to the front ends of the side walls. The outer edges must be flush. Additionally, attach these strips to the bottom of the drawer and to the front crossmember. Step 5: Finish the side walls of the drawer. Secure the trim strips to the top of the side walls (their upper edges should be flush), using 30 mm nails and glue. Step 6: Finish the top of the front side. Secure the front top trim strip with 30 mm nails and glue. Alignment is carried out on the upper edge. Additionally secure the bar by driving 50 mm of nails through its edges into the side walls. Step 7: The back of the "ceiling". Using 50 mm nails and glue, secure the back of the box “ceiling”.The ends of the plank should uniformly protrude beyond the side walls (~ 2. 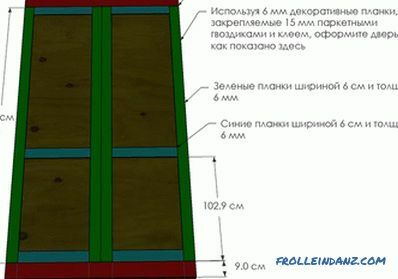 5 cm), and its rear edge should be flush with the rear edges of the side walls. Step 8: Front of the “ceiling”. Leaving a 2. 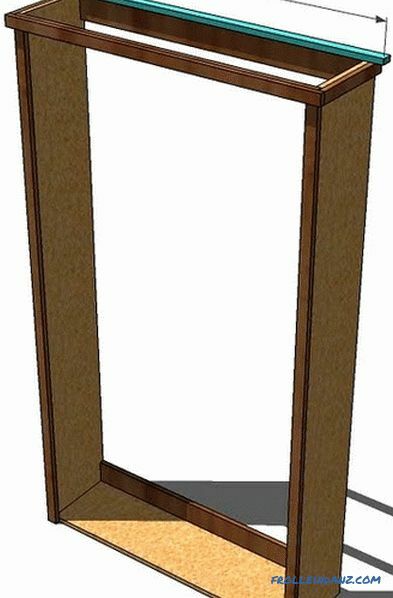 5 cm canopy from the front and sides, secure the front of the upper slab, as you did in the previous step. Step 9: Box for the mattress. Build a mattress box using glue and 50 mm self-tapping screws to connect the back wall of a 2. 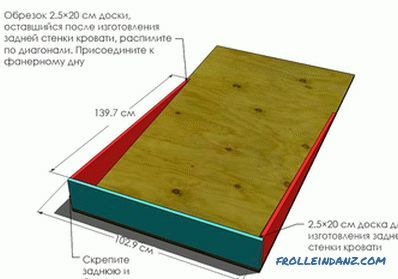 5 * 20 cm board with a plywood bottom. Then (again with glue and self-tapping screws) attach the side walls of the bed, made of the board cut diagonally cut, to the plywood bottom and back wall. You can cut the side walls with a jigsaw or circular saw. Step 10: Decorating the door. Consider the layout of the door (the back side of the bed) and secure the 6 mm thick decorative strips with glue and 15 mm nails without caps. 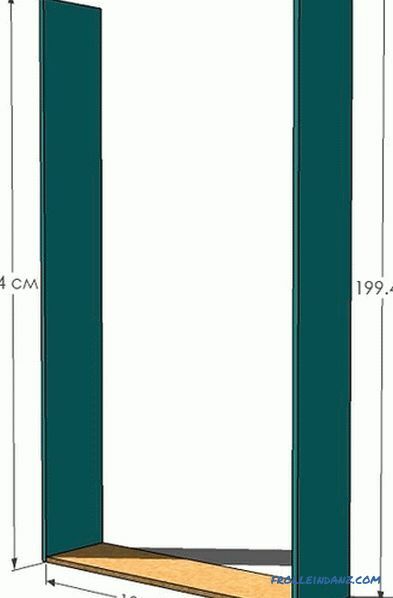 The dimensions are given for the pattern shown in the figure. 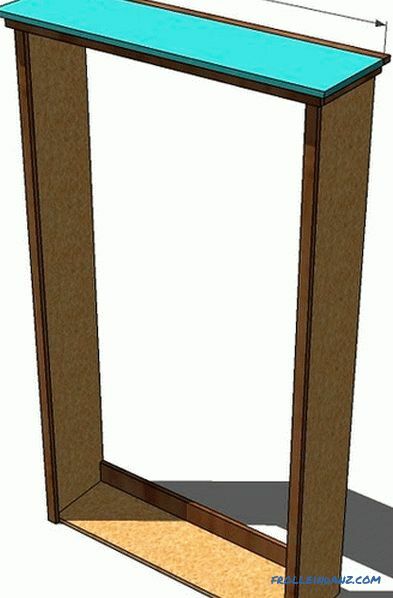 Use hinges to fasten the bed (mattress box) to the near-wall “box” as shown above. In addition, it is necessary to install magnetic latches that prevent the “door” from falling when the bed is in the raised position. 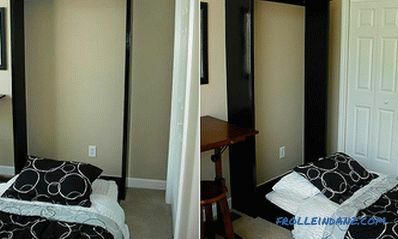 You can also use support hinges to keep the “door” from falling down when folding the bed. 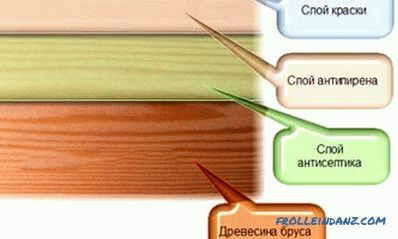 Fill all of the holes for nails and screws with wood putty and sand the surfaces. If desired, you can paint the structure and / or varnish it. 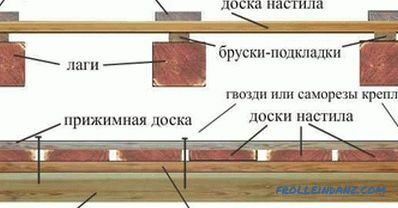 It is necessary to fix the “box” by twisting several screws into the wall through the upper and lower rear 2. 5 * 10 cm cross-pieces. We also recommend attaching a wide elastic strap to the plywood door so that the mattress remains in place when the door closes (the bed folds down). 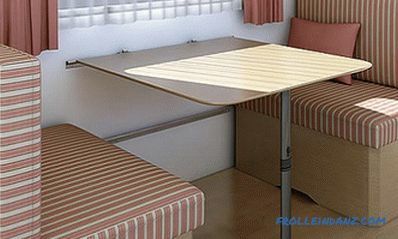 So you did your own folding bed, designed for a standard single mattress of 100 * 190 cm. Now you don’t have to wrestle with where in your cramped apartment to place a late friend or a mother-in-law who came to visit.